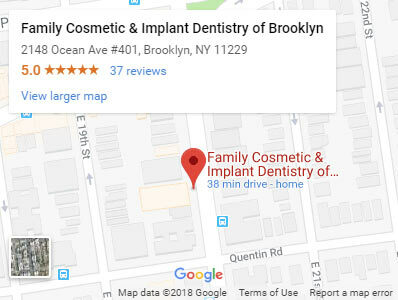 Your Brooklyn cosmetic dentists offer dental veneers on teeth in a variety of options, ranging from press on veneers to porcelain, resin, and prepless veneers. While alternatives to veneers teeth may be cheaper than porcelain veneers, the dental veneers cost is worth the investment. You’ll love the way you look and appreciate the added protection your natural teeth receive. Come to our dental clinic in Brooklyn to receive the most efficient, functional, and highly esthetic veneers teeth. Teeth can become discolored over time. Along with discoloration, you may have misshapen, worn-down or broken teeth — or a host of other unsightly conditions. While these can occasionally affect eating and speaking, most people choose dental veneers as a Brooklyn cosmetic dentistry procedure to raise their confidence in their smile and appearance. Veneers on teeth are handcrafted by the best rated Brooklyn dentist to fit your individual teeth, but the shape of your mouth and your desired outcome are also factors. These strong teeth overlays cover the front of your teeth with wafer-thin, shell-like resin or porcelain to improve their appearance. Snap on veneers teeth don’t discolor over time and resist fracturing and chipping. We require multiple visits to measure your mouth, prep your teeth and sculpt your dental veneers. Your dentist in Brooklyn may even suggest using porcelain veneers to protect damaged teeth, reducing the need for more extensive treatments later. Composite veneers, one of the most common treatment choices. Your cosmetic dentist in Brooklyn sculpts and applies the veneers during your appointment. Often used to fix small cosmetic concerns such as chips, cracks or slightly crooked teeth, they can also fill in small gaps between your front teeth. Composite dental veneers cost less than porcelain veneers and require a shorter treatment period. Porcelain veneers, the most expensive choice. Porcelain veneers create a noticeable transformation many consider worth the investment. Your Brooklyn dentist requires multiple visits to measure your mouth, prep your teeth and sculpt your veneers. Custom-tailored, these porcelain veneers may require drilling and shaping your teeth before placement. 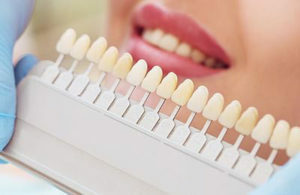 Instant veneers, also referred to as prepless veneers. While they aren’t custom-tailored to your mouth, they still provide comparable aesthetic results. These dental veneers cost less since lab fees are eliminated. Your Brooklyn cosmetic dentist can place these prepless veneers in a single visit. Not quite as stain-resistant as porcelains, the results also don’t last as long. Press on veneers, known as snap on or clip on veneers. A relatively new option, they’re made of a hard-wearing dental resin. Like other veneers, snap on veneers form a thin but strong cover over your existing teeth. But you remove these alternatives to veneers to clean them. Press on veneers may be the right choice if you aren’t a candidate for implants, custom-made veneers or prepless veneers. 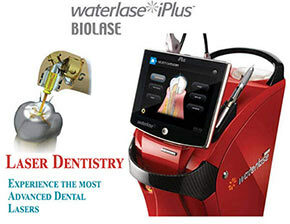 A thorough dental exam that includes x-rays and impressions ensure you’re a good candidate for veneers for your teeth. When you choose composite or porcelain veneers, your Brooklyn family dentist removes about half a millimeter of enamel from your teeth to provide room. Because of this step, composite or porcelain veneers must be considered a permanent veneers solution. Porcelain and press on veneers are constructed in a lab and then placed on your teeth. 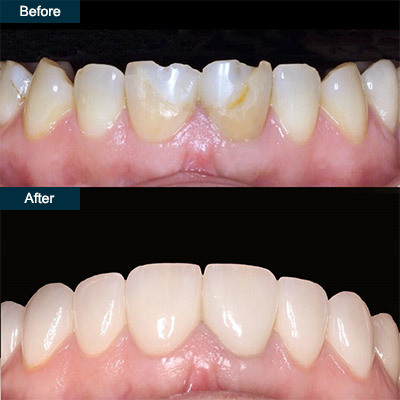 Porcelain veneers bond with a special bonding cement. For composite veneers, your dentist slowly builds and shapes the resin on your teeth. Light-sensitive material quickly hardens to form a bond that closely resembles your natural teeth. After checking to make sure the fit of the veneers is comfortable and safe, your dentist cleans, polishes, and etches your teeth and instructs you on proper care of your press on veneers. Follow-up visits check that your gums remain healthy and you’re adjusting well. Do Veneers Ruin Your Real Teeth? Porcelain veneers don’t ruin your real teeth. Your cosmetic dentist designs them to fit over your natural teeth, enhancing their appearance. The composite resin used in bonding them to your teeth isn’t harmful to your natural teeth. That’s why getting veneers attached doesn’t hurt or ruin your tooth underneath. Depending on your choice, dental veneers cost ranges from around $250 to fix a single tooth with composite resin, to upwards of $1,500 for a complete upper or lower arch using porcelain. Since your Brooklyn family dentist cares about your goals, you can share your concerns about dental veneers cost and discuss alternatives to veneers as well. Veneers are a more conservative option than other alternatives to veneers such as bonding and crowns since less reshaping of your natural teeth is required. Most insurance companies don’t cover veneers, however, so other options may suit your needs better. Since multiple options exist to protect your teeth and enhance your appearance, the best rated dentist in Brooklyn works to find the method that best helps you achieve your dental needs and goals. Do you have any questions about the dental veneers or press on veneers procedure in Brooklyn? 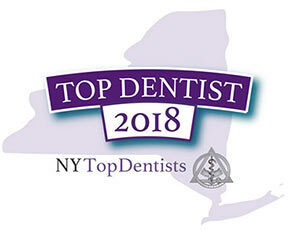 For more information or to schedule an appointment with the best rated cosmetic dentistry Khabensky DDS of Family Cosmetic & Implants Dentistry of Brooklyn/ Please contact our dental clinic for a consultation with the dentists Alex and Igor Khabensky DDS.